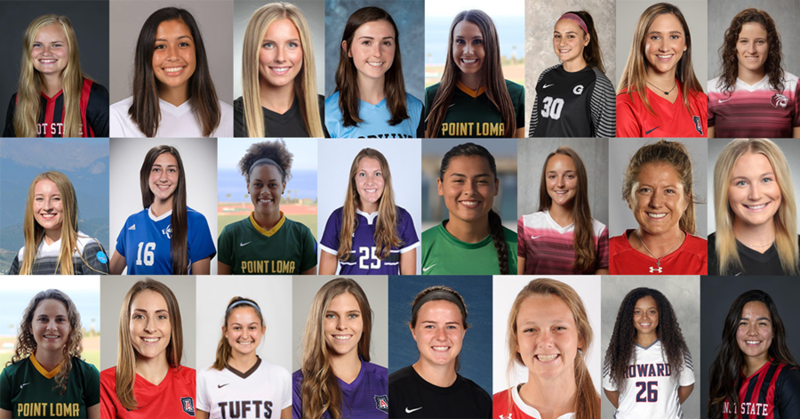 Wednesday, November 7th, 2018 -- All day yesterday, I scoured though 184 DI, DII, DIII Women's soccer rosters to find Arizona player competing in the upcoming NCAA Women's Soccer Tournament. This year I counted 47 players. 19 will be competing in the DI tournament, 15 in the DII tournament and 11 in the DIII tournament. Last year there were 39 players in action. The last Arizona player to win a national title was Cassie Miller in 2014 with Florida State.